In other words, despite sounding like a relentless cacophony to the average person, the frogs, in fact, are ripe for mathematical modelling for a communications system. The researchers captured three frogs and placed them in individual cages. 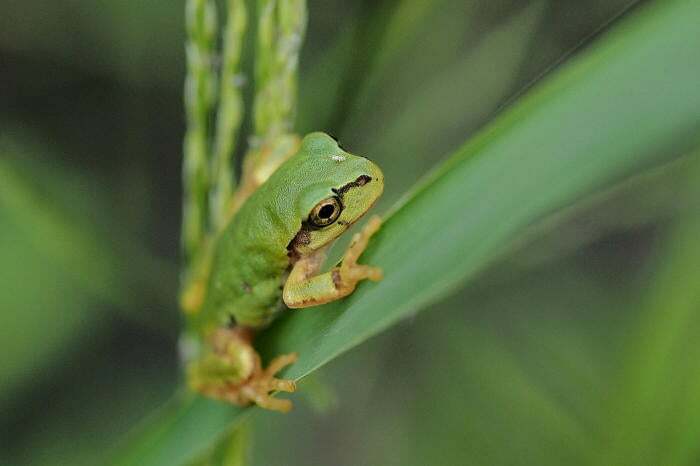 They then observed the interaction — frogs communicate information through sound. The group found that through a kind of alternate call-timing-like orchestration, in the short term, information was passed clearly. But in the long term, the frogs sometimes chose to all croak in unison, or all rest — it’s hard work being a frog. “They found the frogs both avoided overlapping croaks and collectively switched between calling and silence,” the researchers explain. It was a clear audible pattern, including rest breaks for all. The scientific group then mathematically modeled their findings, which they intend to use for designing autonomous disbursed communication systems of the kind we are likely to see more of in industrial IoT. “Such systems must cleverly regulate give and take, activity and rest,” the researchers say. The rest part is to reduce network power consumption for possibly widely disbursed environmental sensors. “Animals exhibit various types of collective behavior in the form of swarms,” the group writes in their paper published in Royal Society Open Science. “Ants forage for food by cooperating with other individuals, [and] birds and fish form a flexible flocking as a result of [sensory] interactions.” I’ve written previously about how decentralized, randomly distributed ad hoc IoT nodes might self-discover their size by copying ant colony behavior — ants in the wild bump into fellow ants and create random sampling models of how many other ants are around, a bit like what one sees in marketing study statistics. “Various theoretical studies show that swarm intelligence can solve real-world problems, especially in the fields of information and communication technologies,” the Osaka academics write. And what are the frogs actually croaking about? In another parallel: calling for a mate, mainly.